WordPress updates are a semi-regular occurrence. They come and go, and generally you find that not much has changed from an end user perspective. WordPress 5.0 is going to be different. When you upgrade to 5.0 you will almost certainly notice a massive difference the first time you go to edit a post or a page. This is because WordPress 5.0 is going to ship with a brand new page builder. 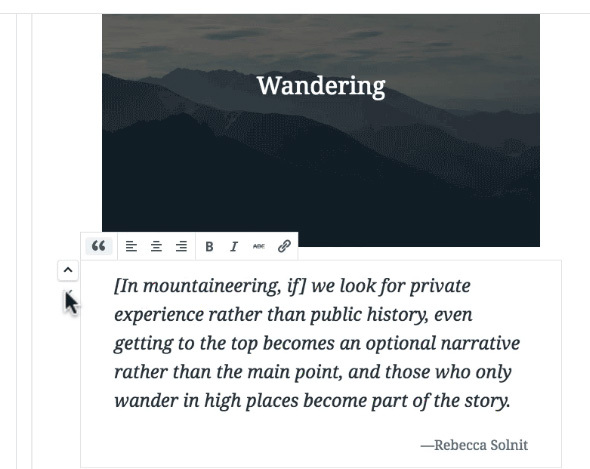 This new WYSIWYG page builder goes by the name of “Gutenberg” and will replace the classic page editor that we’ve all become used to over the years. In an effort to make website building using WordPress more accessible to the masses, Gutenberg lets you place “blocks” on the page and then drag them to where you want the content to be displayed. It’s not too dissimilar to existing WordPress page builder plugins and is an attempt by WordPress to compete with other WYSIWYG sitebuilders like Wix. WordPress 5.0 is due to be released on the 27th November, although that date could be pushed back to January should the developers come across any last minute hurdles. With such a big change in how one of the core features of WordPress works, it also has the potential to break existing themes and plugins that haven’t been updated to be compatible with the new page editor. With this in mind, we’d recommend clients temporarily disable automatic updates for this major release and instead should update their WordPress installations manually. Please Note: The wordpress developers have stated that users WON’T be automatically updated to 5.0 via the internal WordPress updater but if you have auto updates enabled via Softaculous, then WordPress will still be automatically updated. For good measure, here’s how to disable both the internal WordPress auto update feature and also the auto updates provided by Softaculous. With automatic updates disabled, you can then upgrade to WordPress 5.0 in your own time from within your WordPress dashboard. Before you do this, we would strongly recommend taking a backup of your website and database so you can roll back to a previous version should any problems occur. 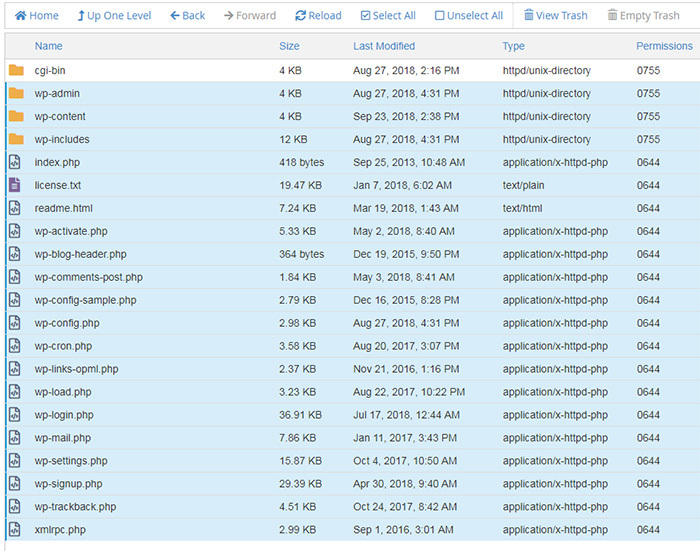 A ZIP archive will then be created containing all of your WordPress files prior to the upgrade. 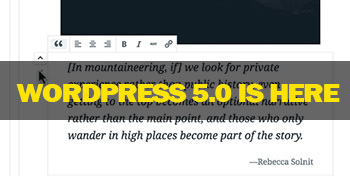 With the files and database backed up, you can proceed with the WordPress 5.0 upgrade. If you find the upgrade breaks things, or you simply don’t like the new interface you can contact our technical support team and let them know you would like to installation to be restored from your backup. D9 Hosting have been hosting tens of thousands of websites for businesses and individuals since 2007. If you aren't already a customer, why not sign up and try our super fast, reliable servers backed up by true 24/7 technical support provided by Red Hat certified engineers.